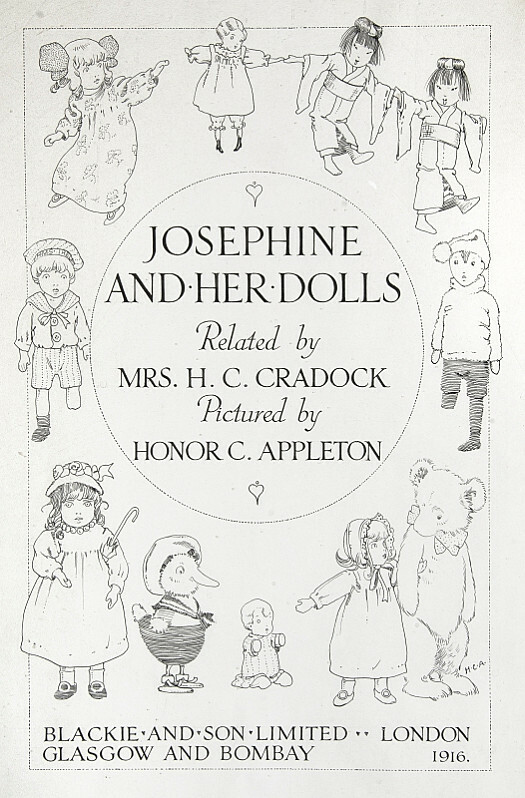 Honor Appleton represented childhood innocence without resorting to sentimentality, most notably in her illustrations to Mrs Cradock's 'Josephine' stories. these are, for the most part, an exquisitely naturalistic depiction of a young girl's life, with occasional, but increasing suggestions that her dolls are also alive. Honor Appleton was born in Brighton on 4 February 1879 and studied at the South Kensington Schools, Frank Calderon’s School of Animal Painting and the Royal Academy Schools. 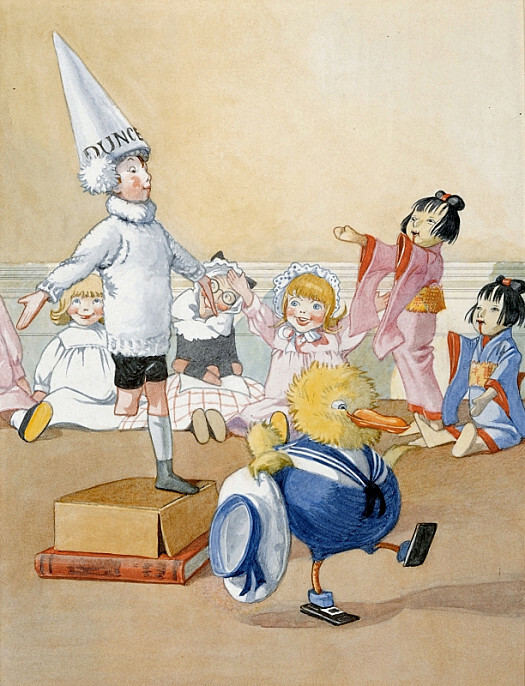 At the end of her first year at the RA Schools, she published The Bad Mrs Ginger (1902). 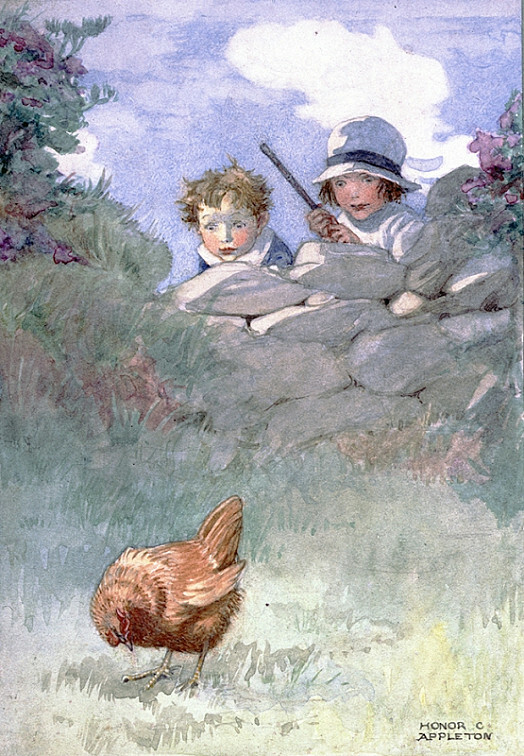 Evolving her own distinctive style through the assimilation of such nursery artists as Kate Greenaway, Annie French and early Mabel Lucie Attwell, she became a professional illustrator eight years later with Blake’s Songs of Innocence (1910). Continuing to keep herself well-informed about the work of her contemporaries, she subscribed to Percy Bradshaw’s correspondence course, The Art of the Illustrator, in 1917. During &#0;&#0;the following three decades she illustrated over a hundred and fifty books. While the best known of her early illustrations were for the ‘Josephine’ series, to texts by Mrs Cradock, she produced much other fine work. 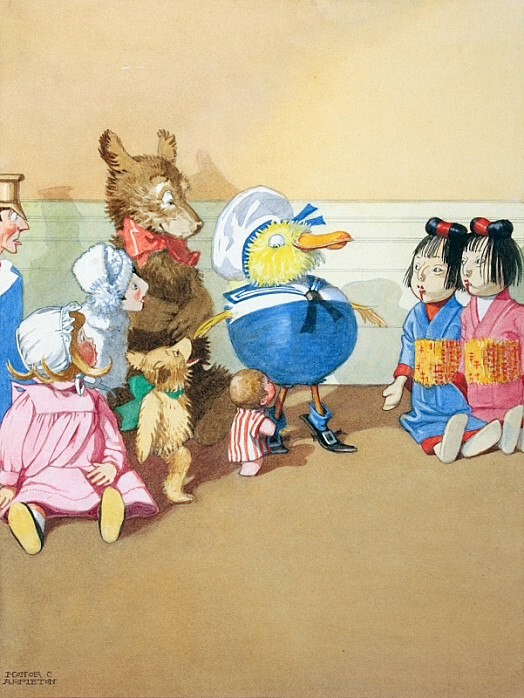 In the 1930s and 40s, she moved away from nursery subjects to concentrate upon children’s versions of literary classics for George G Harrap. Shrewd and independent, Appleton lived in Hove throughout her career, and travelled only on matters of business. She died on 31 December 1951, and was the subject of a memorial show held in Hove in the following year. The very successful exhibition held by Chris Beetles in 1990 was the very first since the memorial show; the accompanying catalogue contains further information on her life and work.